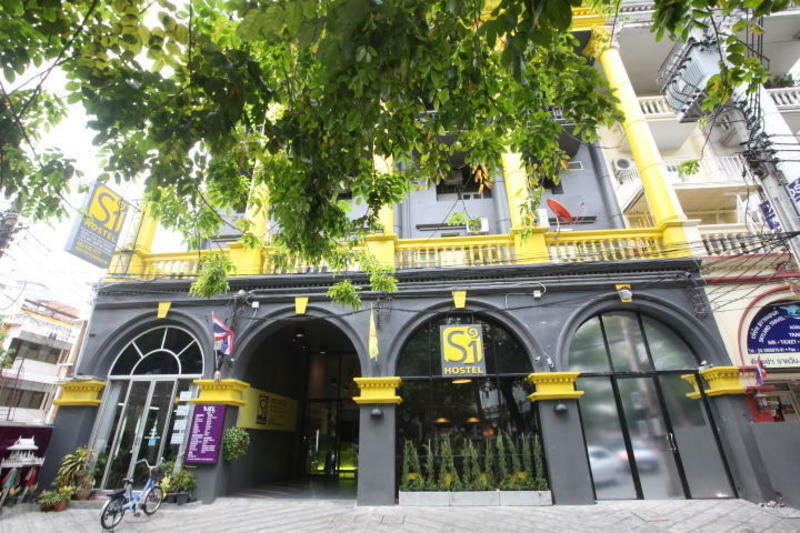 S1 Hostel is located in sathorn area of business and embassy, close to Bangkok's biggest lung of lumpinee park, lumpinee boxing stadium, sirikit convention hall and shopping areas. All are easy access via our MRT lumphini station. Also it is easy access from airport by public transport via airport link and MRT. We provide Free wifi everywhere here, self adjust air-conditioned in every room are ensuite with toilet, hot shower and towel, flatscreen cable TV in various international channel with live sport channel , Refrigerator with complimentary drinking water , In room telephone , New and clean Linen bed set with duvet. all room has their own keytag for our guest security .For our dorm guest we provide Private locker ,keytag , every bed has their own light and electric socket. We proudly serve your relaxation in our rooftop garden with free wifi and cable TV. Our cozy lobby with travel information , internet counter and 24 hours reception, Public pantry for our guest to warm their food anytime with dinning area. Opposite our hostel is beautiful greenery delicious restaurant with reasonable price. We have coin-up laundry machine and dryer. 24hrs convenient store is just 15 step walk from our place. Only 30 drives by taxi from Suvarnabhum airport or take public transport by Airport Link (SA express line) from airport to Makkasan Station for 15 minutes and connect to MRT Petchaburee to MRT lumphini exit 1 for 7minutes then walk to S1 hostel into Soi Sathorn 1 or Soi Ngamduplee for 10 minutes or take motorbike taxi for 20 baht.